Robert E. Howard’s brooding wanderer, Conan of Cimmeria, has been a favorite character of mine for longer than I can remember. I recall going to the movie theater to see Arnold Schwarzenegger’s Conan the Barbarian and Conan the Destroyer and just being enamored at how he was able to overcome the horrors of his childhood to eventually become a great king. While I never read any of Howard’s original Conan novels, I did fall in love with the comic series from Dark Horse Comics. Their adaptation of the Conan saga in 2003, entitled simply Conan, was written by Kurt Busiek and penciled by artist extraordinaire Cary Nord. That series kicked off for me a second nearly decade long fascination with Conan and his exploits as I attempted to dig up many of the old issues of the Marvel Comics era Conan while continuing to collect the Dark Horse issues as soon as they hit the comic book store shelves. 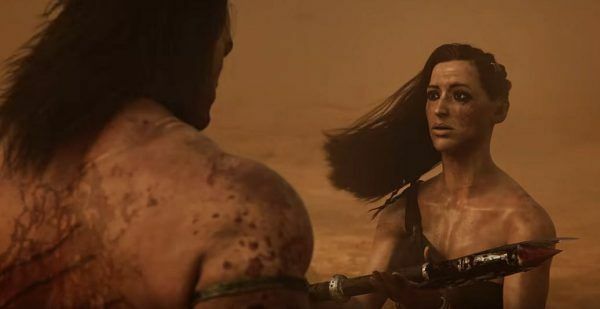 Needless to say, when presented with the opportunity to preview the open-world survival game set in the brutal universe of Conan the Barbarian, I jumped at the chance. 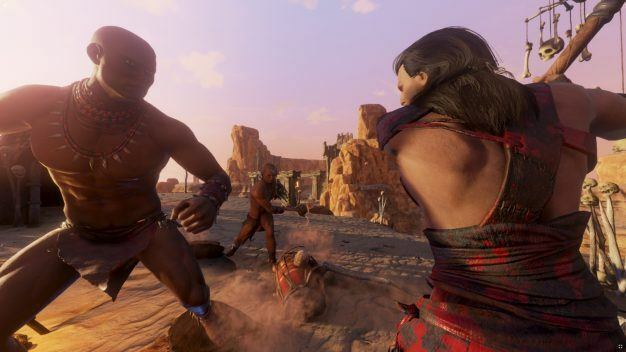 Conan Exiles is currently in development by gaming studio Funcom, makers of the games Age of Conan, FTP Anarchy Online and The Secret World. The game is currently in Early Access on Steam and will be for the next year, the developers have stated. For $29.99, you can get in on the ground floor and help the developers create a game that you will be proud to play. 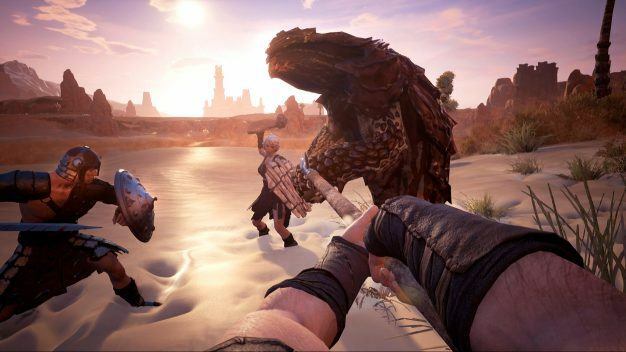 Unfortunately, it is still very early in the development cycle for Conan Exiles. If you don’t have a powerful gaming rig or don’t like dealing with game halting bugs, you might want to wait a while before you plop down your hard-earned cash. To be totally upfront with you guys, I tried on several occasions to load up the game and give it a try, but it would freeze up right at the beginning so I never was able to give it a good once-over. The farthest I was ever able to get after about 120 minutes or so of trying was to the start of the game. 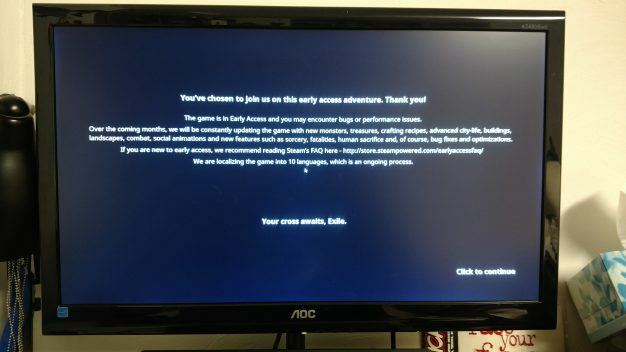 Each time it would freeze on me either at the start menu, while loading the start menu, at the character creation screen or after creating my character and beginning a game. To be clear, I don’t have the most powerful gaming laptop so that may have something to do with the game’s inability to run on my system but I have done some thirty-odd reviews on games on this same laptop, so I know that it’s not just my machine. 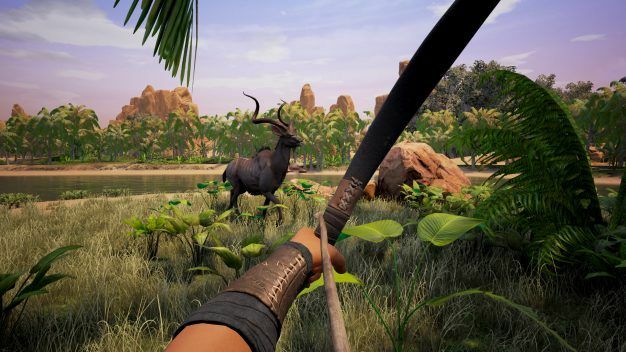 With that said, the developers state right at the beginning that Conan Exiles is a work in progress at this point in time, so you should take that into consideration when deciding to download this one. I must admit that the opening cinematic (I had to watch it several times) has me hopeful that this game will be something truly special someday. 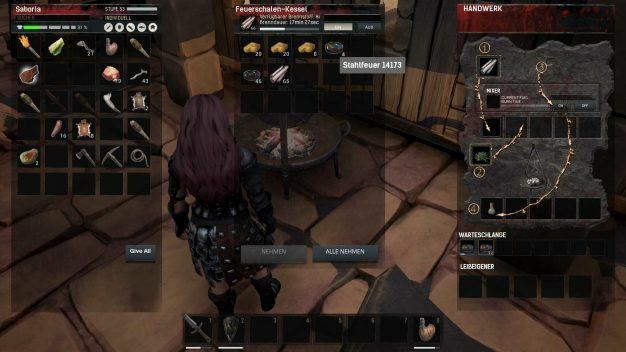 Funcom promises that the game will feature both a single- and multiplayer mode to develop your character and explore the wilds of legendary Cimmeria and the surrounding locations. You must survive, build and dominate in order to build your own kingdom while facing off against other players trying to do the same thing. You must explore crumbling ruins and uncover the history of ancient civilizations while escaping scouring sandstorms and bloodthirsty cannibals. In addition, you can build awesome cities and then wage war on an enemies neighboring city in order to rule the Exiled Lands. Early Access games can be hit or miss but just be aware that this is not a finished game at this point; far from it. You are going to have to tinker with your rig’s setting in order to get this game to run smooth enough to even give it a decent try right now. I have watched some vlogs covering Conan Exiles, but I am betting that they had powerhouse rigs and had to tinker some to get it to play. I just couldn’t find the right settings or help enough to get it to run on my machine. That is par for the course for a game in Early Access so just be aware that this is the case if you decide to download the game now. $30 is a pretty hefty price to pay for a game that, in its current state, may or may not provide the gaming experience that you would expect from a finished, polished product. However, your input regarding changes to gameplay, additions to weapons, skills or abilities, or just an honest critique of the game as a whole could help Funcom to release the best Conan game to date. This preview is based on an Early Access copy of the game provided by the publisher.